If you like vegetables, this Orange Vegetable Gratin might be a recipe you’ll embrace. 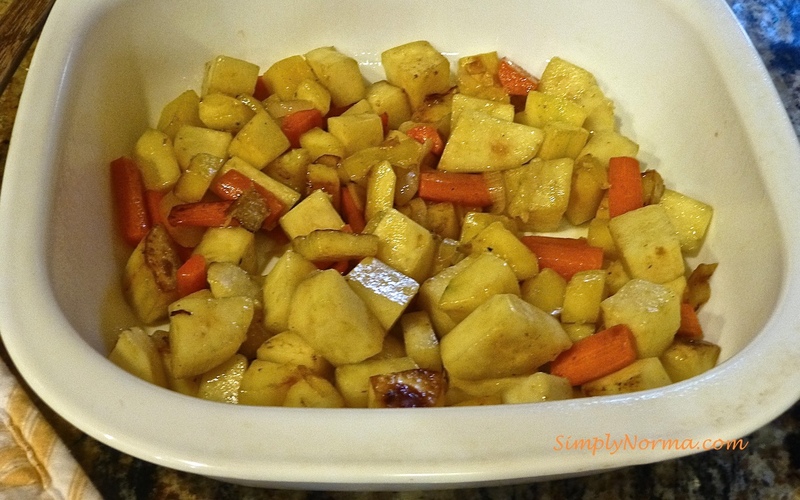 With squash, sweet potatoes and carrots as the base, you can’t go wrong with using this as a side dish. 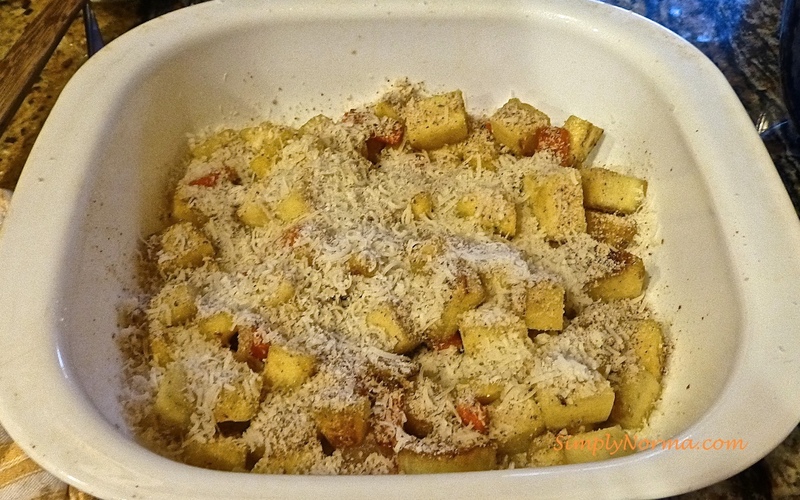 The ingredients are pretty straightforward although I’ve made a few changes on the amounts and have paleo-ized the recipe by using almond flour instead of bread crumbs. After preparing your ingredients, they’ll be put in a casserole dish for baking. Then bake. Ready to try it? Heat the butter in a large skillet. I had to use two skillets for this step as the recipe says to keep them in a single layer. Saute the vegetables for about 15 minutes until they start to brown and are just tender. Transfer all the vegetables to a baking dish. 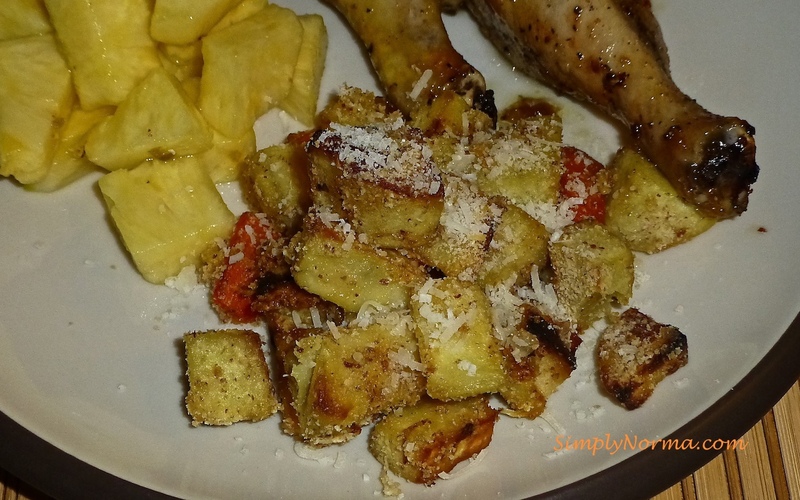 Sprinkle with salt, pepper, almond flour and 1/2 the cheese but do not stir as you want this to sit on top and get crunchy. At about 20 minutes, remove the casserole from the oven, stir the ingredients and bake for approximately 20 minutes. You want to remove the casserole when everything looks golden and the vegetables are soft. Pricking a fork through one of the larger vegetable pieces and having it be soft is the best way to know if its cooked. Sprinkle with the remaining cheese and serve. That’s pretty much it. 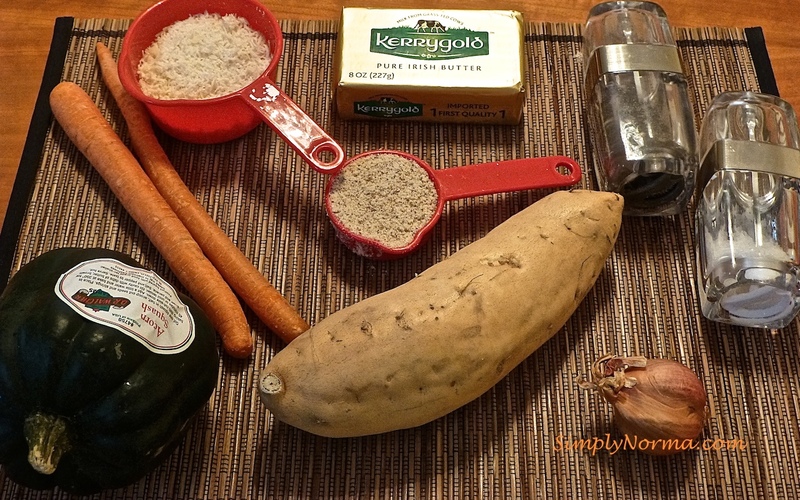 I used a whole acorn squash and reduced the sweet potatoes from two to one. I served this with baked chicken and fresh sliced pineapple.